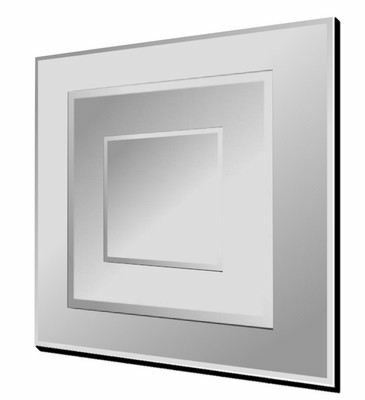 Montana Large square mirror is a contemporary triple layered bevelled mirror. Overall size.90X90cm. Montana Large square mirror is a large contemporary frameless mirror and has three layers of clear mirror, all of which are bevelled. This large mirror would make a stunning centrepiece for any room. Also availble in clear and black glass or clear and bronze mirror.